In 2016, there are no real boundaries between digital marketing, design, content, advertising, public relations, social media management, and other communication disciplines. The distinctions are artificial. In fact, for the consumer, almost every moment in their day-to-day life involves an interaction with a brand and all are equally important. Every touch point must be carefully created to provide a rich and consistent experience. The Union Station communications challenge will be to create experiences, using an integrated approach, transforming them into growth drivers for the hotel. A collaborative understanding of the Union Station marketing and public relations mission and its intended goals needs to be established, of course, but what is of real importance is that the PR approach be constantly fresh, creative, willingly unconventional (when required,) at times even unexpected, but ultimately impactful. In other words, it isn't enough to inform, promote, or advertise... more than ever, one must truly connect in a meaningful way. When the consumer of today receives an affecting human experience, he or she becomes a powerful brand ambassador with network-multiplying capabilities (at their fingertips) of invaluable influence. The effective PR approach of today intertwines itself around a consumer relationship that capitalizes on that. Success will require a swift, easy, and collaborative alignment to the production of digital brand development assets in order to effectively spread the media coverage and brand messaging out across a multitude of platforms. You'll want a PR person with a close relationship to your branding agency and they should be present - not disconnected - at the very onset of the re-brand development process. The advantage here lies in my fluid and already established collaborative integration to the ST8MNT Brand Agency. PR efforts run in tandem with the building, cultivation, and maintenance of key business relationships. In Nashville, personal relationships are of paramount importance as an important first step into the possibility of a profitable brand partnership. The Union Station Hotel will need a PR liaison with uncommon access to the top-level decision makers and gate-keepers in both in the city of Nashville and in the music entertainment industry. In that regard, the Union Station external communications goals, strategic marketing partnership development, and local notable contact development will be unusually well served by the quality and level of my combined and networked relationships at the local and national level, as well as by the depth of my 17 year history in publicity and media relations in the Hollywood film, television, and music industries. Of critical importance to Union Station PR and marketing success will be the information gathering, data distillation, layout, and shared view of an accurate and evergreen competitive profile to constantly identify, analyze, and determine the marketing strengths and weaknesses of all present (and future) competitors in the hospitality sector of Nashville and its neighboring markets. What are their strengths? ex. price, service, convenience, etc. What are their weaknesses? ex. poor community synergy, lamentable social engagement, cumbersome communication and consumer access protocols, etc. What are their basic objectives? ex. Do they seek to gain market share? Do they attempt to capture premium clients? See the Nashville market through their eyes. What are they trying to achieve? What marketing strategies do they use? ex. advertising, public relations, etc. A constant monitoring, understanding, and view of all primary competitors; secondary competitors; opportunities; and risks should be gathered and shared internally in order to prioritize, swiftly pivot (when necessary) and ultimately capitalize on all external public relations, digital marketing, and social efforts. Two basic understandings to achieve about the new PR model are that 1. every successful brand on the planet is competing fiercely - day in and day out - for attention in the marketplace on every available publishing platform , and 2. that the customer journey operates in real-time, and often, utterly independent of traditional media approaches and models. 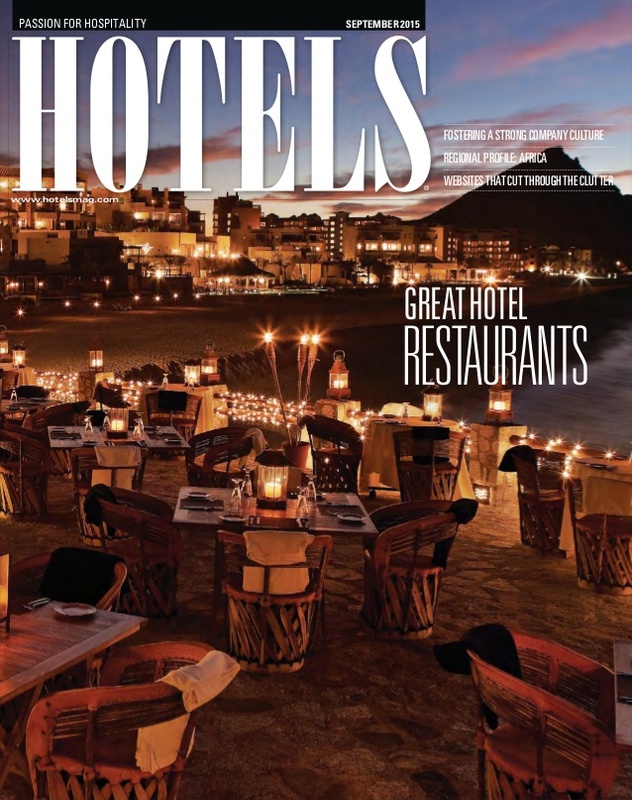 It spells out a highly competitive landscape of hospitality properties about to compete for media driven attention to the packaging of leisure and business travel incentives, group and wedding bookings, and special events in all of the available media outlets. The marketing communications approach must be aggressive. The special event approach must be inventive. The brand development approach must be youth-oriented. The strategic commitment needs aim for the long game. And the Union Station goal must be to absolutely (and unequivocally) win in the competitive landscape of consumer perception. Communication and marketing strategies exist within an accurate understanding (and successful evaluation) of the constantly evolving context in their business positioning. The exciting thing to realize here is that the Union Station Hotel has a tremendously beautiful set of unique value propositions. They must be put into creative play in order for the space to reclaim its reigning place in the local hospitality sector and earn a newly-developed and deeply resonating place in the hearts and minds of its new consumers. Foundational to PR success will be the development of a multi-layered media relations strategy that focuses on regional, national, industry, and partner-industries publications. 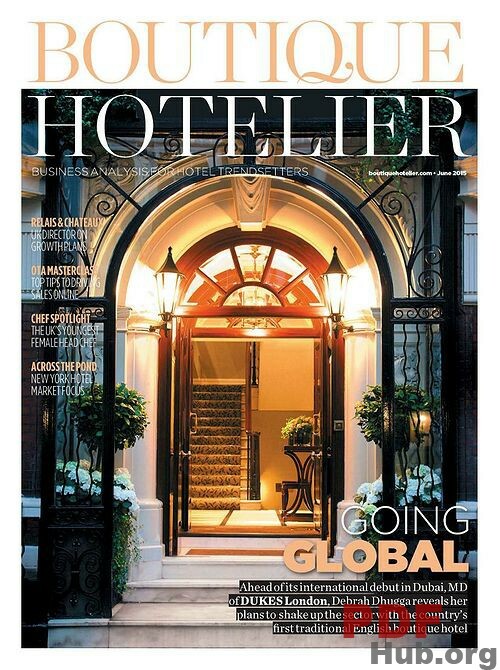 To establish a base level of awareness, continuous engagement with national travel publications such as Conde Nast Traveler, Travel + Leisure, HotelChatter.com by Conde Nast, USA Today Travel among others will serve as an important first step to ensuring that Union Station isn't overlooked in hotel rankings and hot lists. National publications often have longer lead times and securing meaningful coverage will require a thoughtful, consistent and aggressive strategy. Tasks will include: 1. Introductions to travel writers, lifestyle bloggers, travel-channel television producers, and mainstream media in regional and feeder city outlets; 2. the development and maintenance of a creative Union Station editorial calendar to be filled with smart story ideas and angles for the entire year. This will entail 3. a scheduling of media pitches that align to the editorial calendars of other publications and media outlets. The calendar will serve as a strategic guide for the 4. pitching of timely (and newsworthy) items that allow for follow-ups with fresh story ideas on a consistent basis. Also, it will be important to always 5. maintain a very close (and disciplined) media watch over the current events of the day in order to properly identify positioning opportunities for Union Station and then swiftly execute on them. A generally-accepted idea in public relations is that press outreach and media procurement generally require good communication skills. However, it's important to always recognize that sustaining meaningful and impactful media coverage for Union Station throughout the course of the entire year will always be about carefully-orchestrated media relations talent. In other words, Union Station must look for creativity - and arm it with capability - if one is to truly develop and execute a long-term and sustainable media relations and marketing communications strategy. In order to "tell the Union Station story" in the most far-reaching way, media outreach and press coverage logistics will be pre-accorded and executed in a manner that aligns to the strategic objectives to be outlined in the the overall media communications plan. Pitch ideas and content development will be gathered, organized, updated and otherwise cultivated in an 'evergreen' status in order to maintain the ability to swiftly facilitate the most current, fresh, and relevant version of the Union Station communication mission. 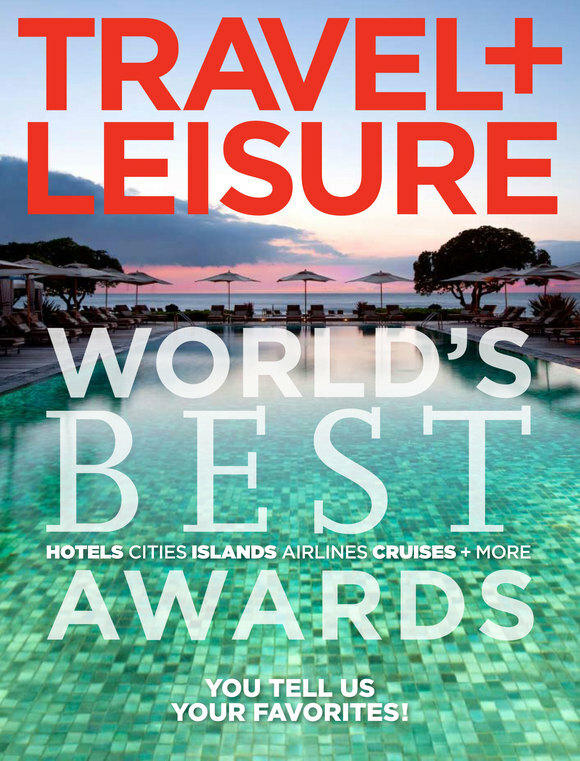 National (and international) travel lifestyle and hotel magazine outlets will be targeted and pitched according to every available coverage opportunity obtained through a working knowledge of their respective editorial calendars and captured by a close monthly monitoring their editorial sections, spotlights, highlights, showcases, and special inserts. Careful interest will be devoted to their digital editions (and social media platforms) in order to capitalize on their online communities without jeopardizing the possibility of printed coverage. I plan to employ an automatic executive reporting and media tracking protocol by integrating the Coverage Book platform into the workflow of the Union Station communication mission. This will equip us to accurately measure the success of all PR efforts and the information will be set up as a privately-held Union Station property. PR campaigns and onsite events exist to help brands create transformative experiences rooted in business strategy. We all are consumers and most of us accept this reality with little reservation. But, PR campaigns and onsite events at Union Station create a more meaningful way of engaging people in a way that helps them recognize that they are also, if not primarily, humans, fans, users, visitors, or guests. The ability to develop rich experiences is rooted in this understanding and it's the reason that the hospitality business model is so wonderfully (and profitably) invested in wedding, meeting, conference, and special events services. The Union Station Hotel is centrally located in the heart of one of America's greatest music communities and sits right beside one of the most remarkable art museum's in the entire region. The spatial design and unique thematic presence of the space in and of itself plays a huge part of its unique value proposition. Elegant music events; high-profile art exhibits; dedicated celebrity press announcement / interview spaces; film / television set location offerings; the special event possibilities of the space are vast. To really bring the space to life; to turn Union Station into more than an elegant and historic hotel guest and dining destination; to truly capitalize on the 360 degree capabilities and value of the property will require uncommon, out-of-the-box creativity, serious executive alignment, key entertainment relationships, brand partnerships, multiplied promotional strategies, an exploratory business ethos, and a competitive consumer experience mindset. strong entertainment background to work in direct collaboration with a highly-capable special events director (and team) under full executive buy-in and support. There are eminently scalable possibilities in this market that are absolutely doable and well within reach; that would absolutely cement Union Station's cultural and business positioning in Nashville (and abroad); that would serve as a foundational basis for the development of the most active, most resonating of brand partnerships in the city; and that would provide an endless supply of media coverage, social engagement, and brand amplification. In many other cities, ideas like these may come across as slightly preposterous, a bit out of reach, beyond certain business model capabilities, etc., but this happens to be Nashville, TN... in this town we have the ability to put this entire brand amplification opportunity together and get every single detail locked in (from top to bottom) inside a two mile radius. The idea has already been well received by a three of the afore-mentioned principals. Highly-organized processes; attention to detail; super-attentive communication skills; strong business relationships; a persuasive manner; a visionary mindset... and The Union Station Hotel, in time, becomes one of Nashville's most in-demand, nationally-recognized, highly-coveted special event venues. Today, business runs at real time and companies need to adapt faster than ever. In order to meet the challenges which fast moving technologies and new customer behaviors create - Union Station must evolve its people, processes and technology platforms in order to take full advantage of market conditions. Social media management, shareable content creation, and effective online engagement strategies will help Union Station capitalize on this change strategically and holistically. It's undeniably important to create a unified external presence in social media. Social management and online engagement are critical for managing organizational change in a connected world and will provide Union Station with direct hour-by-hour control (and responsibility) over its social messaging strategies. A comprehensive social media audit and platform optimization logistics are the first steps in identifying what's working, what's missing, and to establish exactly where room exists for significant improvement. Platform performance insights will serve as the basis for ad and promotional social strategies. And, online metrics will measure the extent of campaign management success. Positive endorsement from other consumers is the most powerful media available to brands. This is especially true in today’s content-saturated world. Audiences are no longer merely swayed by messaging; it takes coherent, immersive social experiences that create conversational capital. An online influencer and brand ambassador development program should be considered. Union Station must earn consumer attention by providing value in the form of entertainment, information, and utility. It must attempt to understand and respect the millennial mindset. It must not only consistently exercise its online voice, in order to create a truly a successful brand experience, Union Station must also clearly develop and inhabit its own distinctive and recognizable point of view. Finally, the most important component to be aware of (and sadly, often the most overlooked element in the equation that most-repeatedly produces a successful social media result) is to inhabit a full-on publishing mindset. In other words, Union Station must provide its online audience a branded story-arc social experience, in which consumers see themselves as participants, in order to avoid being soundly and visibly ignored. Brands must be topical. Brands must become relevant. Brands must be human. Brands must become the signal amidst all the noise. Social strategies that merely message a brand's hospitality offerings without linking consumers to some manner in which they are either entertained, informed, or otherwise offered some form value are social strategies that will nearly always fail to engage. And, a failure to engage, or connect, is a complete waste of the investment. In other words, if your consumers aren't liking, pinning, following, adding, sharing, leaving comments, asking questions, etc., they are not listening. They're not caring. They're not consuming. The new publishing mindset in 2016 is a mindset that has learned this in the hardest way possible; a mindset that understands the interconnected character of online communications and relationship-building; a mindset that understands that one isn't always guiding the message, more often one is merely joining the conversation at hand; one that values and respects the unique language of individual online communities; one that invests constant interest in the customer journey and genuine curiosity about the human beings they serve. The experiential possibilities for Union Station consumers, under a cohesive PR / Media / Marketing / Social brand strategy, are extraordinarily exciting and if well-executed will - in and of themselves - open Union Station executive principals to an entirely new category of business media. NOTE: exact quote unknown, but I'm inquiring at the moment. It'll probably be positioned as a subscription model and comparable to the monthly rates listed below. This proposal was prepared by Harold Loren. This proposal shall be kept confidential. Prior to commencing the services for the hotel, consultant and Sage Hospitality shall enter into a written agreement that details the services and deliverables that consultant will provide to Sage Hospitality in connection with the engagement. All deliverables created by or on behalf of consultant as part of the service shall be owned by Sage Hospitality. Questions and/or further clarification regarding this proposal can be directed to Harold Loren at haroldloren@gmail.com, or harold.loren@st8mnt.com, or by phone at (615) 757-9161 office (323) 303-7440 mobile. Harold Loren is a PR Communications Strategist and a Content Development Consultant. He designs the online spaces and creates the communication strategies that connect digital audiences to professional brands and entrepreneurial identities. Harold's work combines traditional Public Relations and Marketing practices and applies their new approaches to the evolving digital landscape of social media engagement and content marketing development. Harold's most recent work involved day-to-day coordination with social content development teams at both the FOX Broadcasting Company and NETFLIX - through the digital management and brand development for Actor/Producer JOHN STAMOS - in support of both the hit FOX television show GRANDFATHERED and the blockbuster NETFLIX series release of FULLER HOUSE. These projects are presently undertaken in partnership with the NYC-based public relations agency, POLK & COMPANY. His projects, through The LOREN Collective | A Digital Lab focus on the design and deployment of front-end web solutions and on the content management of their social media ecosystems. The lab serves as a digital workshop through which to design, create, coordinate and otherwise keep pace with both the 'thinking' and the 'doing' required to drive effective and measurable engagement in the digital age. His Public Relations accounts have included: THIERRY MUGLER, JULIE NEWMAR, NICK EGAN, HYLO ENTERTAINMENT, ELIAS ARTS, HOLLYWOOD RECORDS, WALT DISNEY PARKS AND RESORTS, TheELIZABETH TAYLOR AIDS FOUNDATION and TELEMUNDO / LIBERTY MEDIA / SONY PICTURES ENTERTAINMENT, among others. Harold Loren's post-secondary studies were in Art, Communication Technology and Political Science. He is a Bachelor of Arts graduate from the University of Texas at Arlington.
. / . (323) 303-7440 mobile + text . / . email: harold.loren@st8mnt.com + haroldloren@gmail.com . / .